Most tourists will get off the boat tour from one of the larger resort beaches on Zante Island, snap a quick shot of this admittedly postcard-worthy cove and move on, but for a truly special Zakynthos experience, plan to spend a little extra time at Navagio Beach, known colloquially as Shipwreck Beach or sometimes, Smugglers Cove. Getting to this tucked away corner of the Zakynthos coast is easy with tours leaving from Alykes, Argassi and other beaches elsewhere on the island. Usually the cruises offered are a day trip out over the impossibly blue waters of the Ionian Sea to explore the legendary Blue Caves and stopping off at the shipwreck beach, you’ll normally get a BBQ somewhere along the way and stop a few times to jump off the edge of the boat to cool off. Shipwreck cove is a popular place for base jumpers, you’ll find several videos on youtube of people running and jumping off the top of the cliffs here and there can’t be many more spectacular places for this kind of activity. Return to the Zakynthos beach guide to take a look at another one of Zantes gorgeous beaches. Pop back over to the Zakynthos guide to find out more about the island. 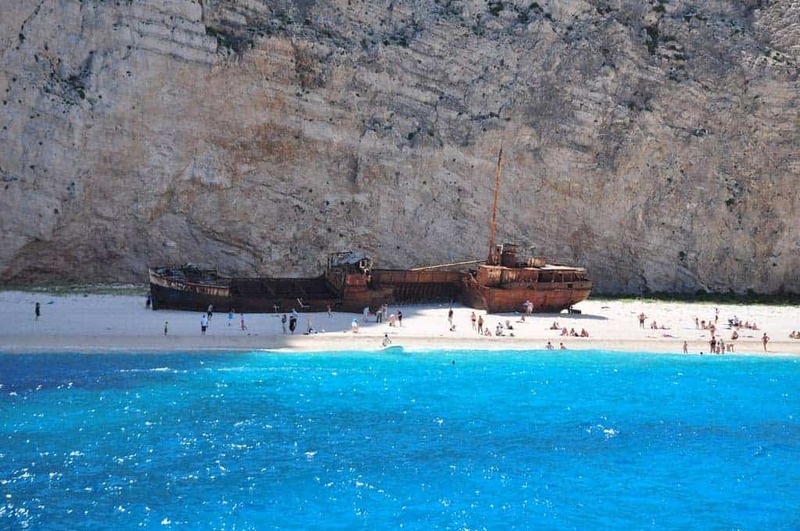 We want Which Greek Island to be as accurate and informative as possible, so, if you notice anything wrong with this listing about Navagio Beach Zakynthos or any other page please let us know. We're also on the lookout for great photos to show people what the places we're describing are like. 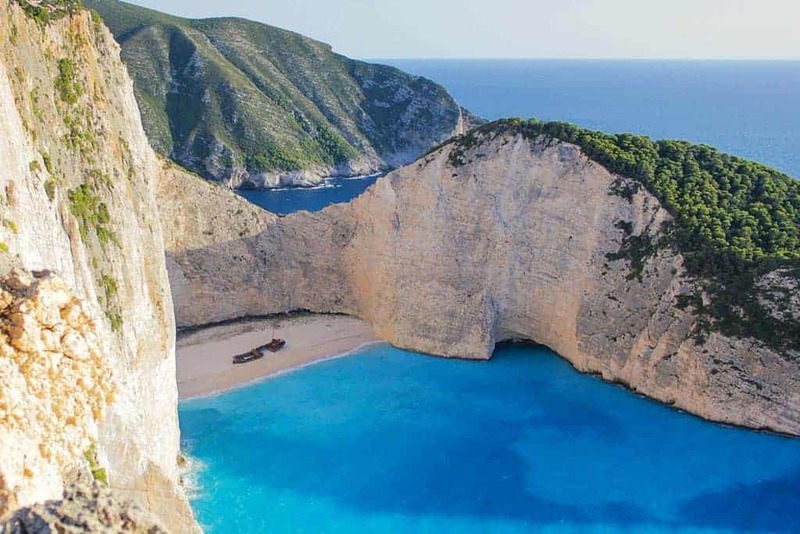 If you have photos from Navagio Beach Zakynthos or from any of the other places on the site then we'd love to see them, you can either use the button below to upload a photo of Navagio Beach Zakynthos or go to the photo upload page to send us some other photos.